Welcome New Grad Student, Haley Kodak! The McLachlan lab is thrilled to welcome Haley Kodak as the newest graduate student member! Haley graduated from Armstrong State University of Savannah, Georgia with a Bachelor of Science in Biology. 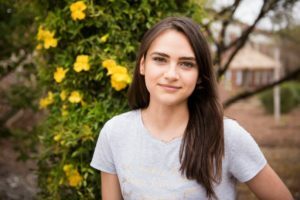 During undergrad she took part in plant genomics research in an REU at UC Berkeley where she studied plant development with Dr. Sarah Hake by experimenting with mutant forms of Maize in efforts to determine the genes responsible for certain aspects of development. Following this experience, she partook in ecological epigenetics research at Armstrong State University with Dr. Aaron Schrey where she investigated the variation in DNA methylation patterns in house sparrow populations. Haley joined the lab this June and has jumped right in on our NSF-funded project that examines the evolutionary dimensions of coastal marsh responses to environmental change. 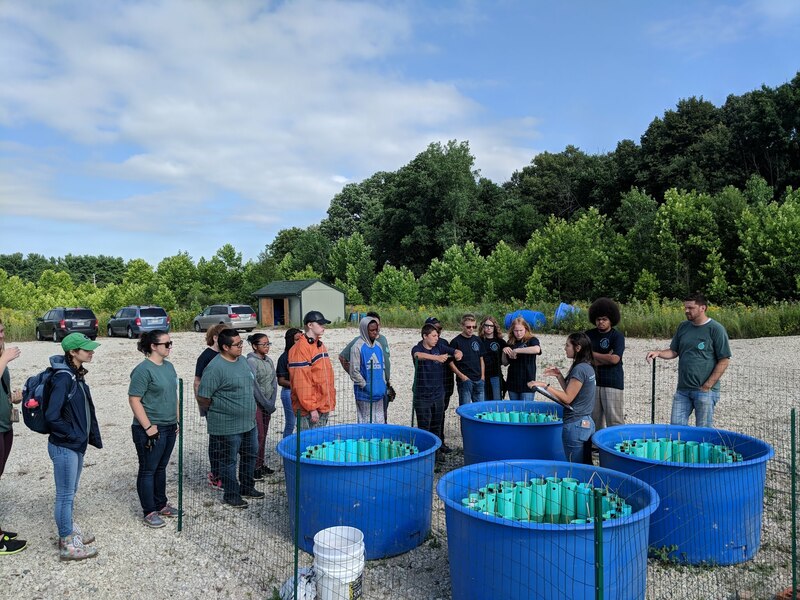 Haley began a project that will investigate the phenotypic diversity of Schoenoplectus americanus in populations across the Chesapeake Bay at the Smithsonian Environmental Research Center (SERC). 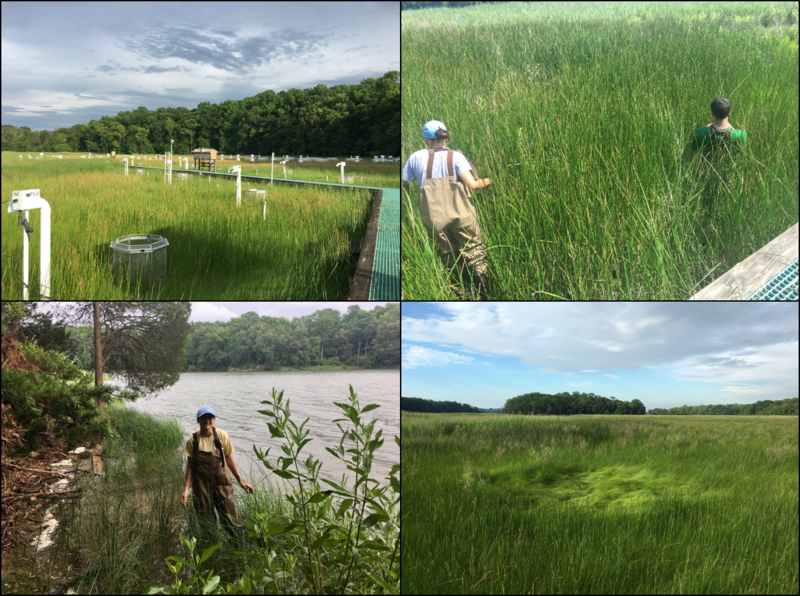 With the help of undergraduate Luke Onken and graduate student Megan Vahsen, she was able to collect over 100 plant samples from 10 different populations across 4 marshes at the SERC in Edgewater, MD. The populations varied in community composition, elevation, and location. The samples were shipped back to Notre Dame and were propagated in the greenhouse. Top Left: View of experimental CO2 and heat chambers at Kirkpatrick Marsh. Top Right: Haley and Luke surrounded by towering sedges. Bottom Left: Haley at Sellman Island. Bottom Right: Patch of Spartina within S. americanus populations at Kirkpatrick Marsh. Just this week Haley moved the plants to ND LEEF to start a common garden experiment where weekly measurements of height and width will be recorded throughout the remainder of the summer. Data on these measurements will be analyzed for differences in phenotypes that may be attributed to community type, elevation, and location. 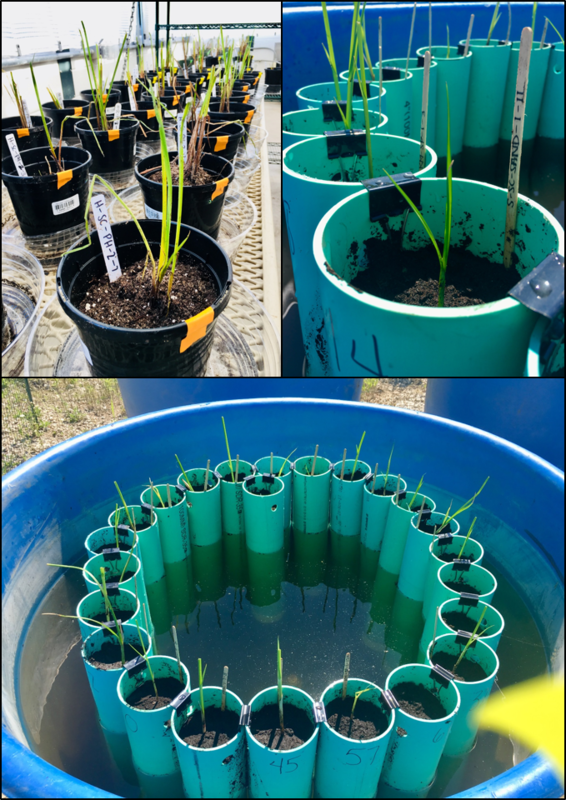 Haley is interested in whether these differences are detectable from plants collected across a relatively small spatial scale at SERC, and if elevation and community type are contributors to the variation in plant traits across SERC marshes. This project is supported through a fellowship from ND LEEF and from the NSF grant 1655702. Top Left: S. americanus were propagated in the greenhouse before being transplanted to a common garden experiment at ND LEEF (Top Right and Bottom). This entry was posted in Climate Change, Field Work, Lab Updates, Marsh. Bookmark the permalink.